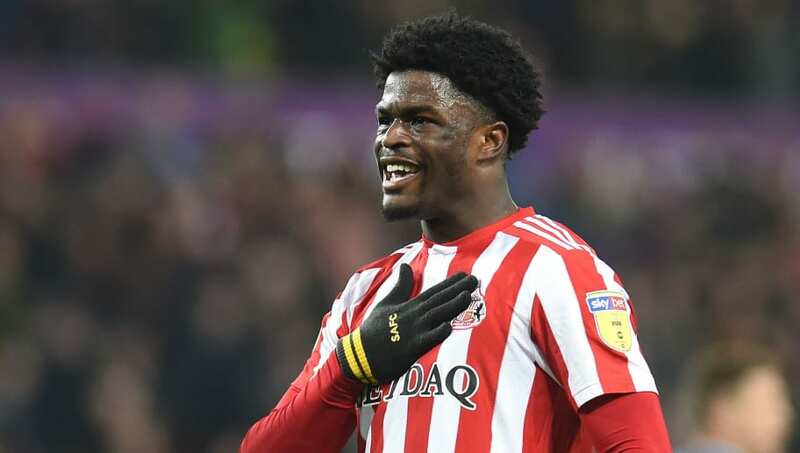 Sunderland striker Josh Maja has reportedly attracted interest from both Manchester City and Tottenham, but manager Jack Ross is confident of keeping any interest in the teenager at bay. The 19-year-old's stock has risen dramatically this season after firing in ten goals in just 16 League One games. The teenager's form has drawn some interest from the Premier League, with both City and Spurs interested in a potential move for the striker in January, particularly due to his current deal with Sunderland which is set to end in the summer. The ​Daily Mirror reports that should the Black Cats fail to agree an extension to Maja's existing contract, a bid in the region of £6m may prove too difficult to turn down for the club. Whilst manager Ross is convinced the striker will stay until January at the very least, he hopes that Maja's current form and continued opportunities in the first team persuade him to spurn the advances of both ​City and ​Spurs. He said (as quoted by the Mirror): "He will be here minimum until January. I would expect him to be here longer than that. I am confident of that. I know he is enjoying it. He is playing and contributing. "He trusts he will get better here under our management. I believe we can improve him. There are not many better clubs than this. There are so many other things to consider." ✨ @joshmaja is the first teenager to score 10 league goals in the top four tiers of English league football this season. Ross added: "He is polite and humble. I have no hint of him being distracted. He has built a good relationship with me and my staff. His ability to hit the back of the net, even when the chances are not easy, is excellent." After signing a professional contract with Sunderland in May 2016, Maja has featured regularly for the Black Cats during their seasons in both the ​Championship and League One.